My SCCM process is fine as it works with VMs, or other brands like Lenovo. After the first reboot on the DELL, I get the "No boot device found message"
Any recommendations/fixes to resolve this issue please? 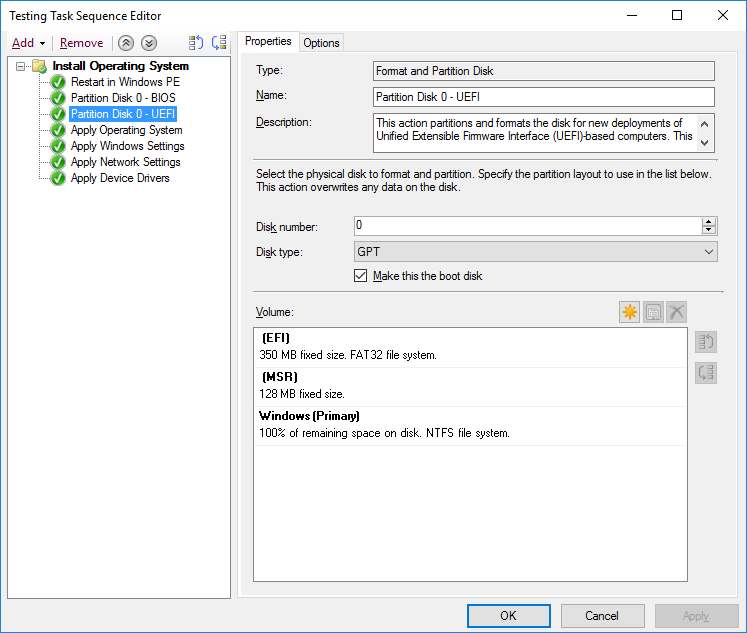 is your task sequence formatting the disc as GPT (uefi) ? 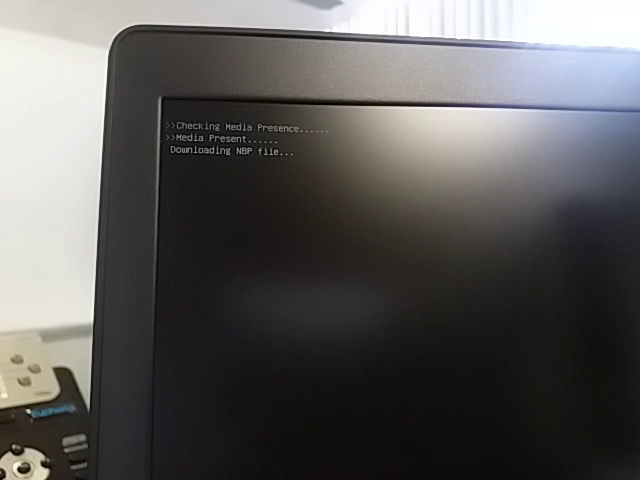 I would leave your computer with UEFI/Secure Boot enabled. Hi it is. Please find screenshot of my test TS atatched. 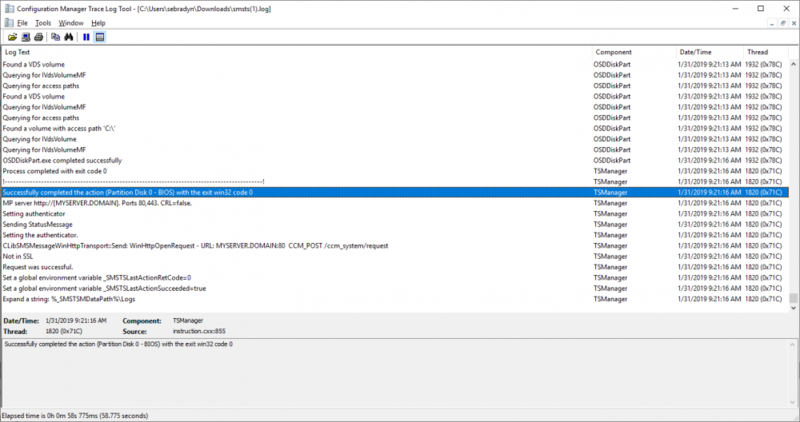 can you attach your smsts.log file please. Hi no prolem, log attached now. I have just edited the names from the file. change it to UEFI with Secure boot enabled and try again. 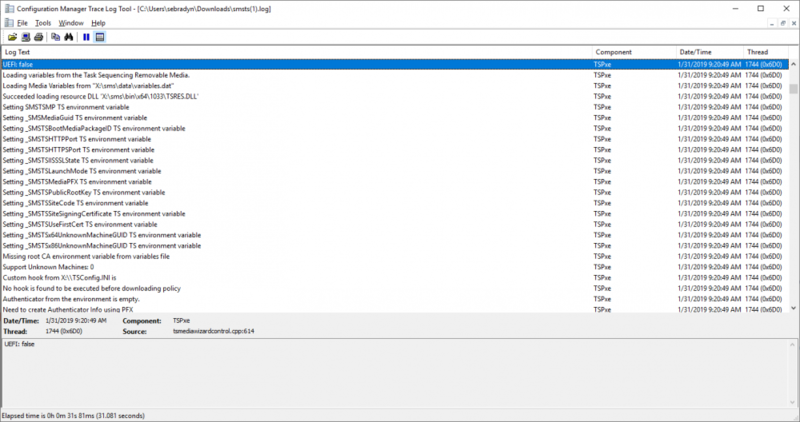 if you cannot PXE boot in UEFI mode have you verified youve distributed the x64 boot image to your dp's and enabled it for pxe ? Apologies, that log was from the client machine. This log is from the server. I see a few errors - not sure if the issue lies here. Just an FYI - I imaged an E7450, and that image with erorrs at all. If I change it to UEFI, I cant boot at all. ok then, is this a lab or production ? are switches involved ? what pxe error do you get when you try to pxe boot in UEFI mode ? 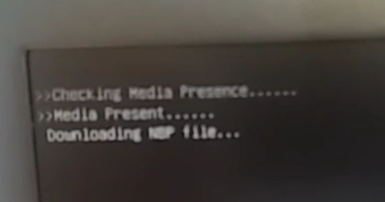 yeah it never downloads that nbp file as far as i can see, so what is between this computer and the distribution point hosting PXe ? are you sure you've updated both the X86 and X64 boot images to this dp ? Normal Lan connection, switch to server on different VLAN. Yup positive. I even re-distributed the images. I also tested on E5580, and that imaged perfectly. 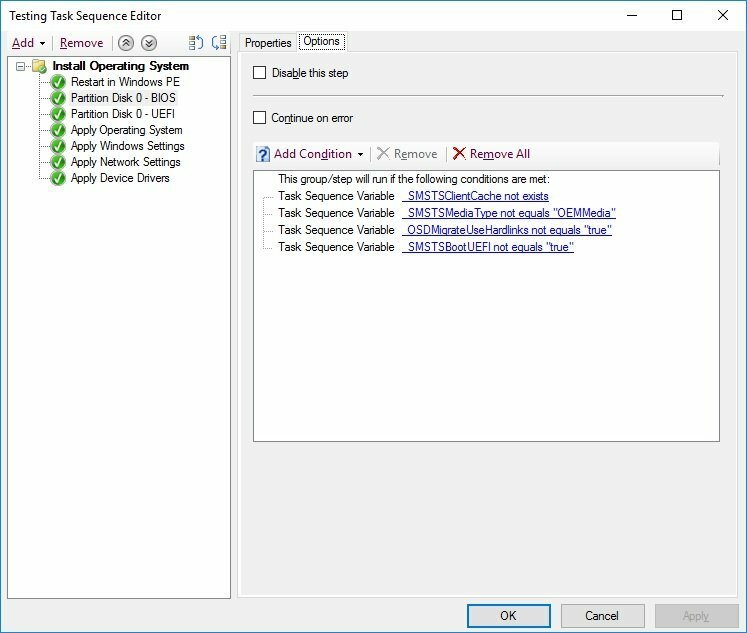 I compared BIOS settings, and they are exact (apart from versions which I think I am going to upgrade now). This is a strange problem though. 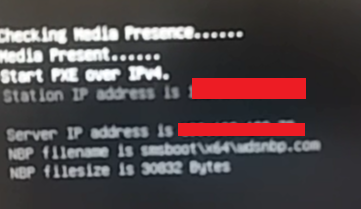 ok is the e5580 that imaged ok on the same vlan as this one ? yup same exact same VLAN. I've matched all the BIOS settings between them, but still no luck. The e5580 is set to Legacy Boot though and not UEFI. IT still images and boots into windows with no issue.